Sending your kids to school on the bus can be a very stressful experience for parents and kids alike. If your children will be riding a school bus to school, you can take some comfort in knowing that school buses are among the safest methods of transportation, even safer than the family car. However, where lots of children and busy streets are involved, you can never be too sure that your local school bus is as safe as possible. Here are some things that you should look for to ensure that the ride will be safe for everyone involved. While the question seems to have been resolved for every other form of transportation, the jury is out with respect to whether children are safer on a bus with seat belts or without. On the “against” side, there are arguments that lap belts can do serious damage to small passengers if worn incorrectly. It is also argued that young children especially might be “trapped” by their seat belt if they need to leave the bus quickly in the case of an emergency. On the “pro” side, advocates argue that while bus seats are designed to provide padding, this is not effective in a bus roll-over. Many advocates argue that a three-point harness system should be installed in buses to properly restrain children. It is up to individual parents to evaluate the seat belt situation on their local school bus and make an informed decision about whether they feel comfortable with their children on the bus. Many accidents involving school buses involve children being hit as they run behind or beside buses as they pull into and out of their stops. 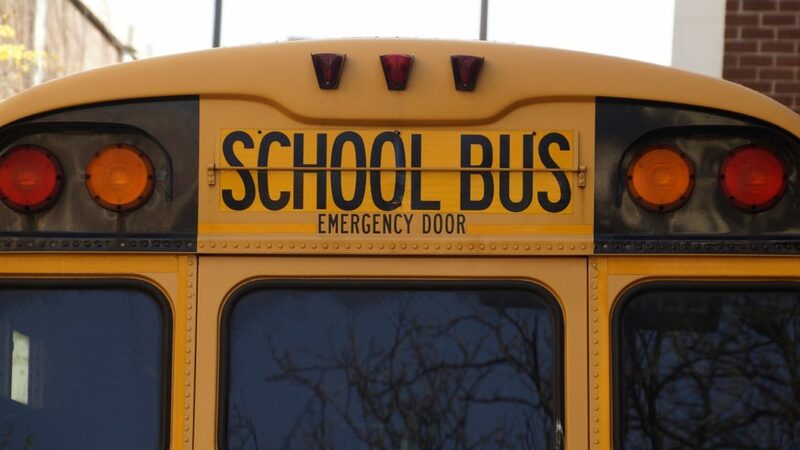 It is very important to know what the standard safety practices are (these will generally be legally specified) and to make sure that your children understand safe practices about getting on and off the bus (to stay away from wheels, to immediately step to the sidewalk, etc.). Young children should be taught that they are difficult to see from the driver’s seat. Parents should check that there is a bus backup camera system installed on the school bus, and if not they should contact their school board to request that this simple upgrade is added. School bus drivers are held to very high standards to ensure the safety of children in their care. However, the same cannot be said about the drivers of the cars around them. There are very strict laws governing driving in school bus zones intended to protect passengers, but sadly these laws are not always followed. Whether other drivers are distracted, uninformed, or simply uncaring, their actions have can have tragic results. As a parent, you should be on the lookout for unsafe drivers and should report them when you see them by calling 911. Make sure that you have as much information about the vehicle as possible, ie., the license plate number, and the details of their action. School bus safety is a community effort – there are things that we should expect the driver to do, and safety features that should be installed on all buses. Ultimately, as parents we need to be involved as partners to make sure that our children are safe when they step on and off the bus.